Biography: Greater Truth Temple Worship Centre was started in 2006 and was called by God to reach the world with the Gospel of Jesus, with passion for God and compassion for the lost, teaching them to be mature in all truth, rooted, built and strengthened for His second coming. Hesborne and Farida teach that you are fearfully and wonderfully made. You are special, and you can be an overcomer too. With Farida as the children's pastor, they have nursery and children's ministries and help orphans by providing food, clothes, shelter and Bible study. The church has evangelism programs and plants Bible-based churches in unreached areas. 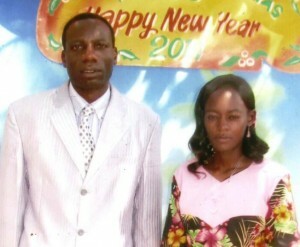 Strengths: Hesborne and Farida are gifted pastors. Hesborne is also a musician.